MAR 12, 2011: Our little Fiona is still with us, still unbearably cute, getting healthier every day, and now even smarter than she was before! 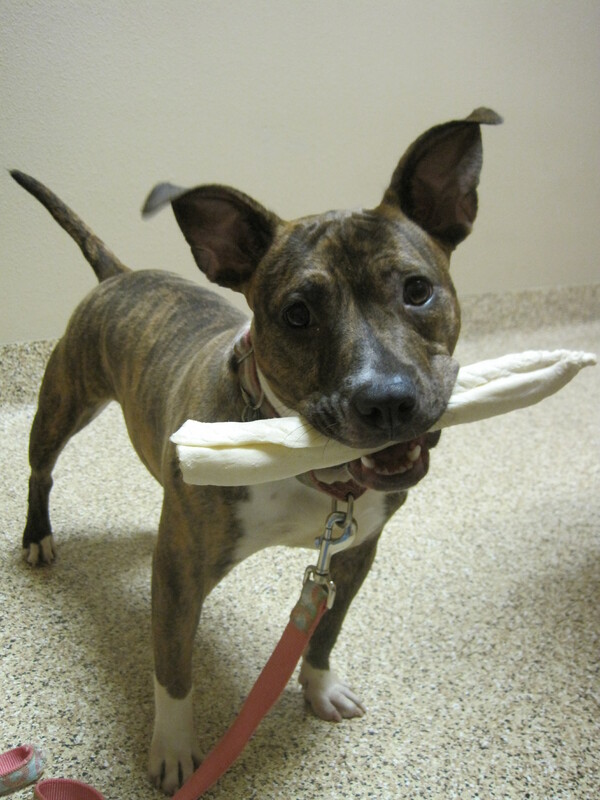 Fi was recently seen by Dr Carmine Bausone of the Animal Healing Center here in San Diego. He’s a holistic vet, looking at the whole dog and using herbal remedies and diet to treat them. Dr Bausone believes Fiona’s problems are a result of environmental stress. He explained that she is a “fire” personality so she needs a “cooling” diet that will help her calm down. She needs to eat a fish-based diet and should not eat kibble, so Fiona is now eating The Honest Kitchen’s “Zeal” formula. We also have 2 herbal mixtures to add to her meals that help purify toxins from her body and help calm her down further. She seems to be doing really well on this diet! Plus, we’re making sure to take extra time for her to run and play. She particularly likes Fiesta Island and everyone she’s met there has just fallen in love with her. She runs around like the crazy little monkey she is, saying hi to everyone, playing with all the other dogs, and everyone comments on how sweet she is, how good she is with the other dogs, how adorable she is…WE KNOW!!! Fi is now 15 months old and between 35 – 40 lbs. We can’t begin to tell you how much we’ve fallen in love with her and we want nothing more than for her to find her forever home this year. She’s such a special girl, and she deserves to be in a truly special home where she can be the little princess she knows she was born to be! SEPT 26: Fiona has hit a little road block, just as the applications and inquiries for her are picking up! It seems Fi has some health issues that we are trying to figure out and address. She has undergone $2,000 in tests in the past 2 weeks but we still don’t have an answer. Right now she’s being treated for “urge incontinence” which is essentially the same thing as overactive bladder in people. You know those commercials that say “Gotta go, gotta go, gotta go right now…” That’s FiFi. She’s also having some GI issues that we’re waiting for test results on. In the meantime, she’s been put on a high-fiber diet. If the bladder meds and new diet don’t fix the symptoms, we’ll go back to have more tests, but the doctor wants us to try this out for a month. We are still taking applications for Fiona as long as people understand that there are some issues that are being worked on and there may be medications required for the rest of her life. 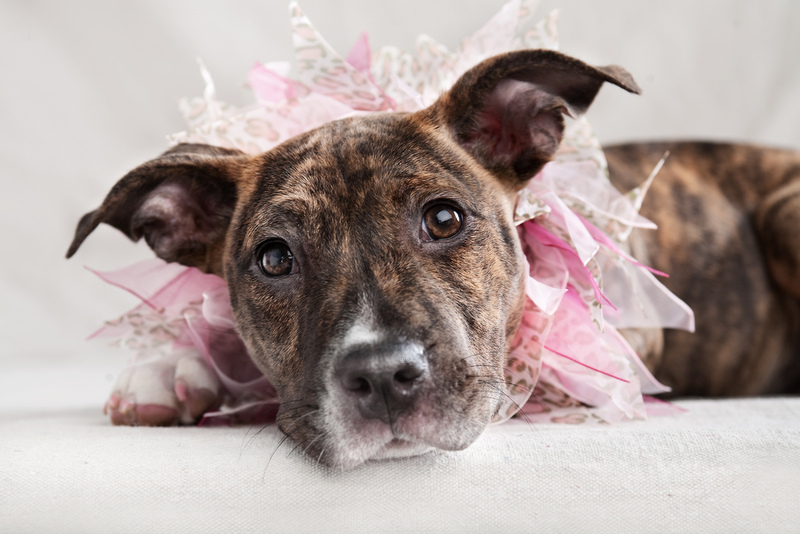 We want to be able to tell an adopter what they can expect and what they are signing up for, but right now we just don’t have that information. Nothing is slowing her down though. She’s still bouncy, happy Fi, who loves to run around, play, chase balls and sticks, and go for walks. She’s a big lover too, cuddling on the sofa and giving kisses to everyone she meets. 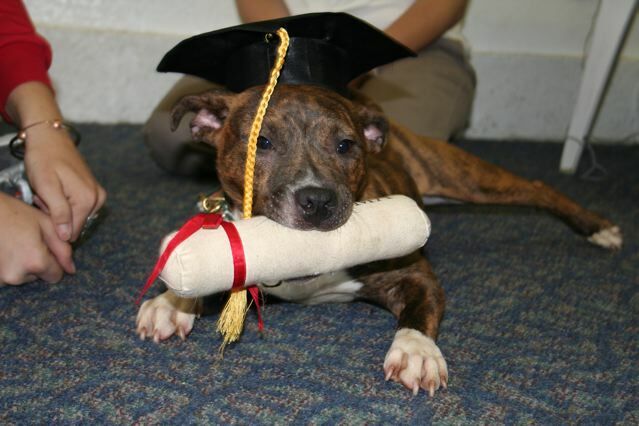 She completed Puppy 1 and Puppy 2 classes and needs someone who is going to continue her education and training. She’d be great at agility and she’d be a wonderful therapy dog. 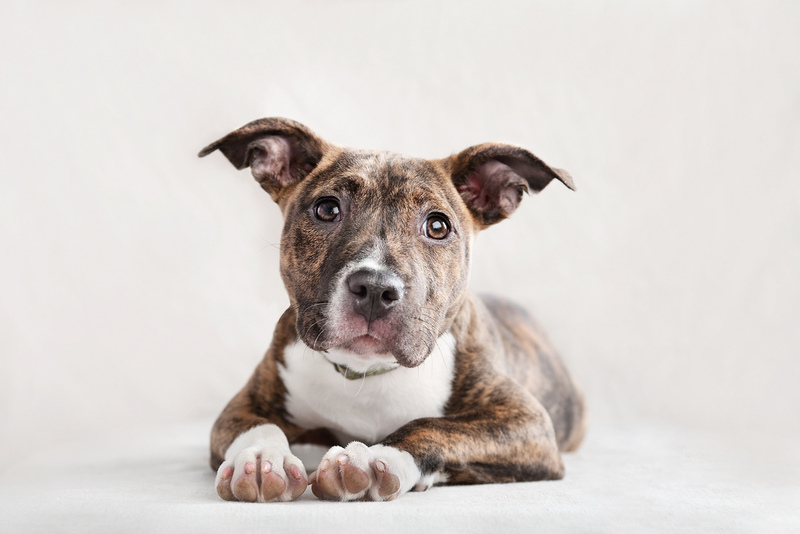 She’s an excellent ambassador for her breed, and we really want someone who will take that responsibility seriously and will get her out in the community to show what amazing dogs these can be with the right owners. MAY 23: FiFi is still with us. She’s just as much an angel at 5 months as she was at 3 months. She’s graduated her first puppy class and is now enrolled in puppy 2. She’s been spayed and all of her shots are complete. MAR 15: Is this NOT the cutest little girl you’ve ever seen???? She’s a complete and total angel…almost house trained, crate trained, quiet as a mouse, playful and good with other dogs of all sizes but loves a good snuggle at any time of the day or night. Loves sleeping on her little doggie bed. Incredibly tolerant of her silly foster mom – lets her paint her toes even! Fiona is 3 months old and up to date on her shots. She won’t be spayed until she’s 6 months old, so if you’re interested in adopting her we can work out a foster-to-adopt arrangement so that you can bring her into your home before then. Is Fiona still available? What a sweetheart! 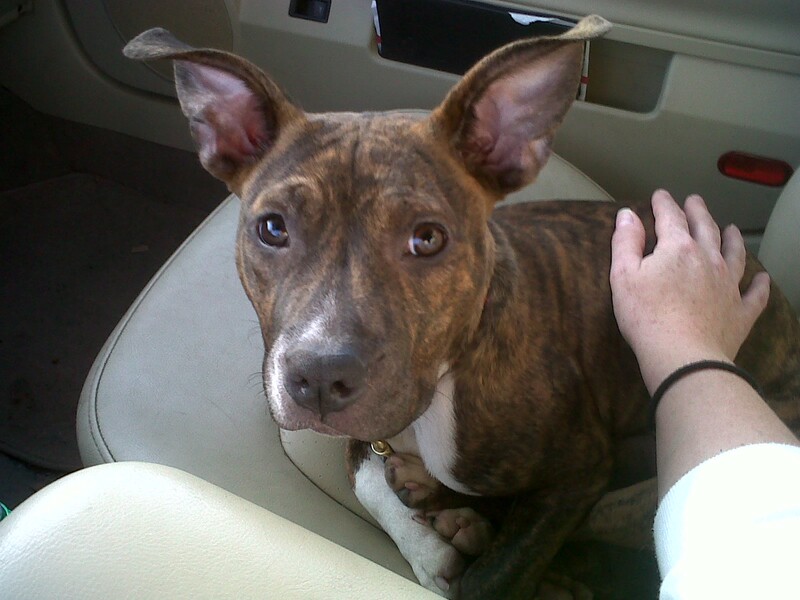 Fiona is still available, but she is undergoing some testing right now. Please check her profile for an update on her health status.